UPDATE 26 FEBRUARY: Room prices of our new partner hotel Cécil ‘Hotel (3 stars) have been added towards the end of this article! 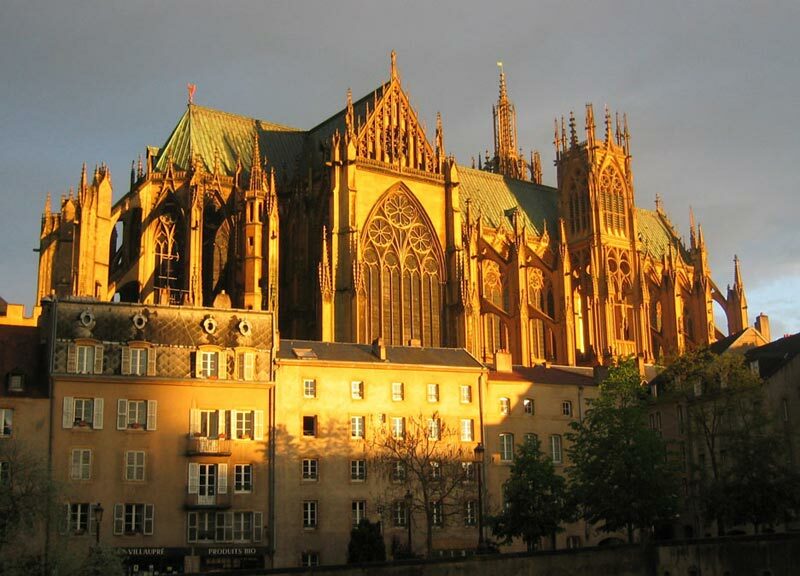 Above, the famous cathedral of the city of Metz. The venue and the format : The festival will take place at the large sports complex Saint-Symphorien, in Longeville-Les-Metz. The tournament will consist of a series of closed tournaments of 10 players divided into groups based on level (FIDE international rating will be taken into account). At least 140 players from a dozen countries are expected. 9 rounds are therefore scheduled in 5 days, at the time control of 1h30 + 30 seconds per move for the whole game. All tournaments will be FIDE Rating sanctioned. Group A will be a women’s tournament for WIM norm by invitation. Group B will be a men’s tournament for IM norm by invitation. These two tournaments will take place from July 23rd to 29th, but all the other groups will take place from the 25th to the 29th and will be completed by rating order according to the registrations. Prices: Group prices (excluding group A and B) will be 150 euros for the 1st of each group, 100 euros for the 2nd, 50 euros for the 3rd and a lot (books / DVD on chess) for the 4th, as well as special prices ( for clubs/age/performances). Tie-breaks: To fight against the injustices of the sometimes questionable tie-breaks calculated by the computer, the EFE Metz chess Festival favours the battle on the chessboard! Thus, the 1st place of each group will be determined during the tie-breaks of Sunday July 29th at 16.00. If some players are tied for the 1st place at the end of the tournament, they will play 2 blitz to win in their group. In case of a tie after the 2 blitz go / return, a decisive Armageddon blitz will take place. How to register ? : The registration fee is 50 euros for an adult and 25 euros for those less than 20 years old. Payment by check must be sent in advance to Laurent Kuhlemeier at 28 Rue du Général Decaen, 57070 Metz to the order “EFE Metz”. You can also pay by money transfer, please contact us for the bank details. If you come to Metz with 3 perons, you only pay 25 euros per night and per person including breakfast or 20 euros without breakfast! – Round 9 at 10am. Each player must hand in a deposit check of 100 euros, which will be returned at the end of the tournament or cashed in case of unjustified resignation from the tournament. For any other questions, do not hesitate to contact us by mail at alexis.echecs57@gmail.com or by phone at 07 86 72 44 25! WE ARE LOOKING FOR MANY PLAYERS, COMING FROM ALL OVER FRANCE AND ABROAD TO VISIT OUR BEAUTIFUL CITY OF METZ!